The Ashes might almost be done and dusted for England and Australia - but over in Takeley they are only just beginning! From two-bed bungalows to five-bed family homes, the Bovis Homes team at The Ashes in Takeley is aiming to show that the location is a real all-rounder when it opens its doors to the public for the first time this weekend. The highlight of the long-awaited launch is the opening of the five-bed Arundel, which will show how the quality and all-inclusive specification of a Bovis Homes hits competitors for six. 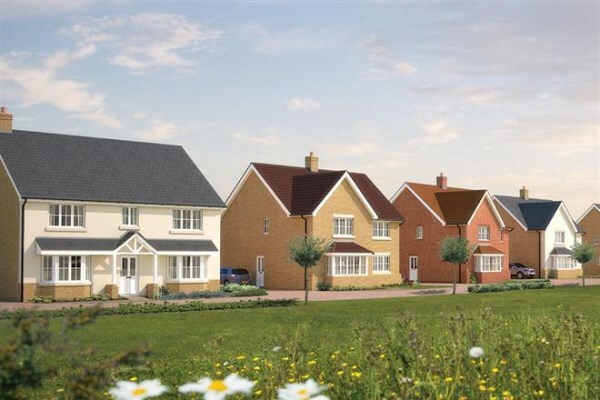 "Our Build teams have been hard at work in Takeley and we're delighted to announce that the show home will be ready to launch this weekend," said Pravin Amarasinghe, Bovis Homes Eastern Sales Manager. "We're proud of the quality properties we are delivering here. Each one is built to 'Lifetime Homes' standards, meaning they are accessible and adaptable, and this also represents a rare opportunity to buy a Bovis Homes-built bungalow. "With its proximity to junction 8 of the M11 and Stansted Airport, the transport links to and from here are stunning, so there's no excuse not to come along when we open up at 10am!" To celebrate the launch, Bovis Homes are offering a fantastic deal where they will supply flooring to the value of £3,000 from the Bovis range to buyers who reserve at the weekend.